Fancy staying in a hotel where Johann Wolfgang von Goethe did? Bily Kun is a 3 star Loket hotel offering warm hospitality and beautiful views of the Slavkovsky wood. The hotel is great for those looking for a relaxing break in Loket where the food is good and the scenery breathtaking. Spend your time in Loket wandering around the stunning castle, visiting the Bookbinding museum in the town hall, taking photos in Eerna viz (the Black Tower) and golfing in the nearby towns of /i>Karlovy Vary, Marianske Lazne and Sokolov. The Bily Kun Hotel also has a charming restaurant offering good food and service to match. 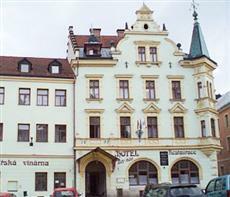 Whether you're visiting Loket on a cycling holiday or to use it as a base for visiting the adjacent spa towns, The Bily Kun Hotel is an excellent choice that you are sure to return to.